Today, I have three projects for you using the Artiste Cartridge. First is a what I think is referred to as a gable box, which is on page 37 of handbook. I also used the La Belle Vie Scrapbooking Workshop on the Go kit for the pattern paper and the stamp image of the bicycle. I used the Cricut Craftroom to cut out the box at 10.41 inches. 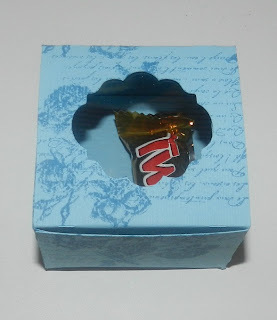 Second, I have a treat bag that I created as a wedding favor. The bag is on page 79 of the handbook. I creating this award ribbon using the banner and edged circle that is on page 35. My last project is a favor box that can be found on page 60 of the handbook. 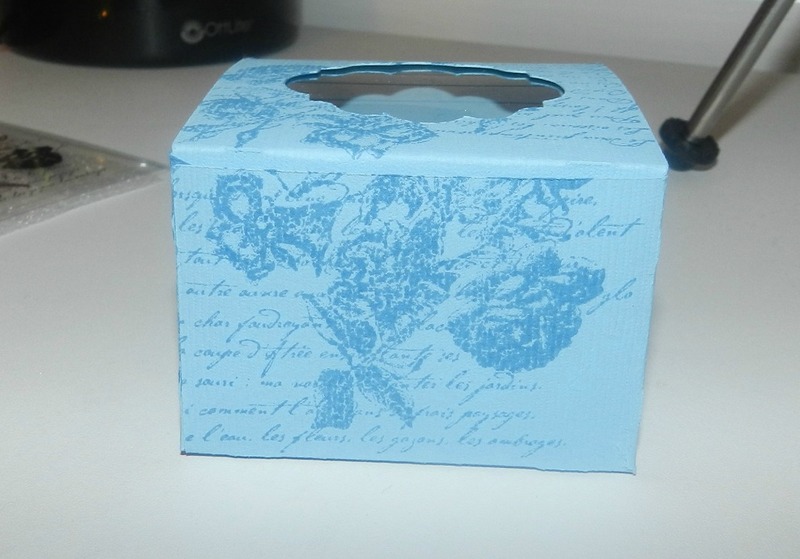 I used the Jardin stamp set to create a pattern for the box. I added some acetate paper for cover up the top of the box. Thank you for stopping by today. Next in the hop is Debbie! Before I forget, if you decide to purchase the Artiste or Art Philosophy cartridges, you can receive a free paper pack of your choice. You can order directly from me here or you can order directly from my store and email me your paper pack choice. For this hop, I am having a mystery hostess. If you purchase from my shop can click on the Join the Cricut Artiste Blog Hop, you will be entered to receive the hostess benefits if there are total order over $150. Loved all your projects. This cartridge is full of great images. Love all of your projects! Such creative and inspirational ideas! Thank you for sharing your art! Very very cute projects! I love the first one the best. Great projects, this is a great cartridge! Loe all of your projects. These are all so pretty, I really like that bike stamp!